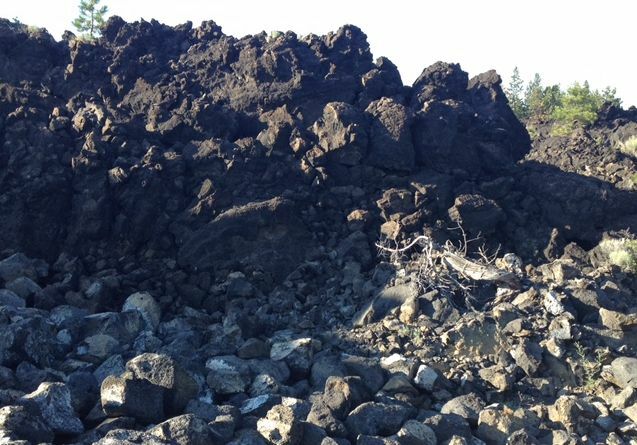 BEND, OR -- Residents of Deschutes River Woods are scrambling to delay or derail the sale of an 86-acre lava field in the subdivision. They’re afraid a new owner might open a rock quarry operation. The Arnold Irrigation District owns the lava field, which many residents mistakenly thought was a part of the Newberry National Monument. Able Supply, operators of a local rock quarry, offered to buy the property for $185,000. Julie Kisic is afraid that would change her neighborhood. "We have what we consider a natural wonder of the Bend area that will be permanently destroyed forever. And once they start going in there to develop, put in roadways and move out rock, you’re not getting that back." Arnold Irrigation put Able Supply's offer aside for 30 days, for residents to raise that sum or find a buyer. That deadline expires July 15. "Arnold Irrigation has been sitting on this land since 2004," Kisic tells KBND News. "To say that we have 30 days to come up with over $185,000 is not quite fair. We’re not saying ‘don’t sell your land’. We’re saying ‘sell it to the right person’." Kisic's group hired an attorney to ask for an extension, and hopes to find a land conservation group to purchase the property.